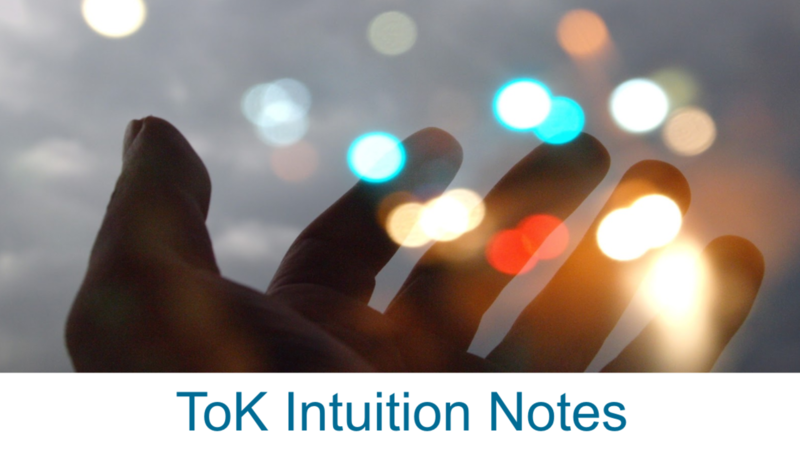 I know you'll find this TOK Intuition note helpful, but there is an even better version available to our supporting members here (the full Intuition note) --along with some very helpful TOK videos and other sources for your TOK essay and presentation. 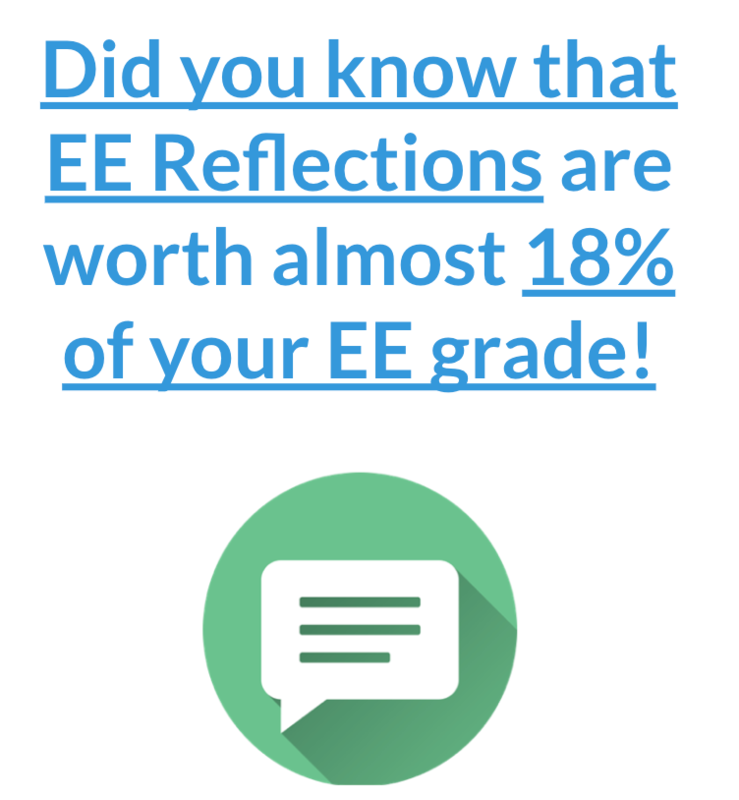 Click here to try IBMastery for free. "Intuition is the clear conception of the whole at once" (Johann Kaspar Lavater). "Intuition is reason in a hurry." (Holbrook Jackson). 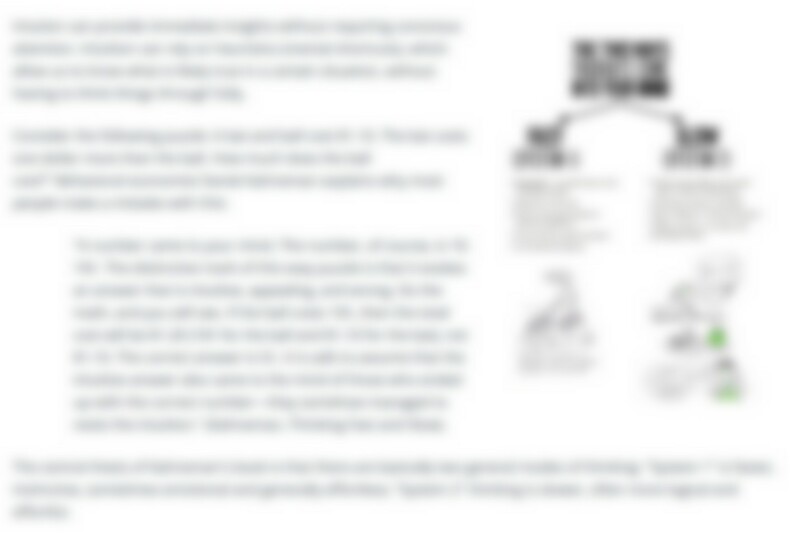 As with all ways of knowing, it is challenging to determine what way is providing a paritcular insight. For example, an insight which has come from intution can quickly be justified using reason and then labelled as an insight of reason --even though it really came from intution. 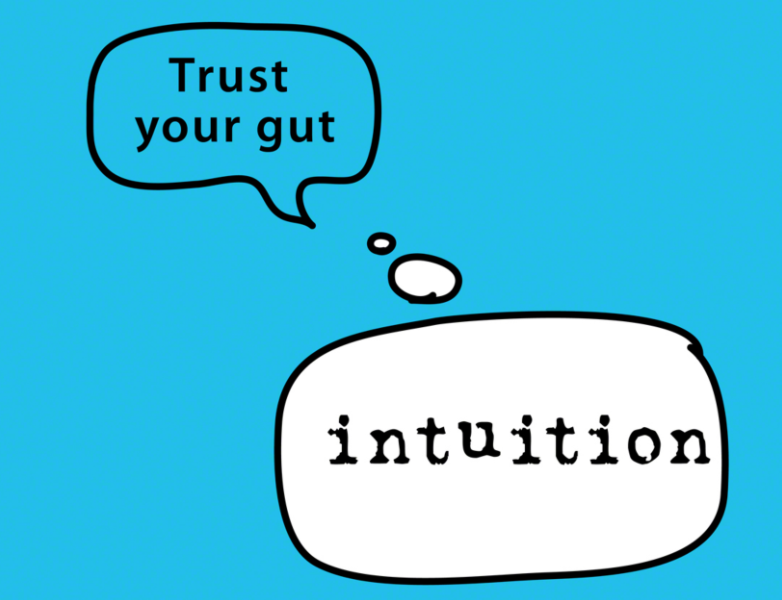 Intuition is tricky because it can be hard to notice exactly when something is intution, rather than reason or emotion. Another difficulty is distinguishing intuition from instinct. Intuition is effortless in the moment, but it relies on previous experience. It can be thought of as insights provided by the subconscious mind. Whereas instinct is a naturally built-in, innate and biologically fixed insight promoting evolutionarily adaptive behaviors. Here's an example from a book called Gut Feelings: The Intelligence of the Unconscious by Gigerenzer. In the book he says he is both intuitive and rational. "In my scientific work, I have hunches. I can’t explain always why I think a certain path is the right way, but I need to trust it and go ahead. I also have the ability to check these hunches and find out what they are about. That’s the science part. Now, in private life, I rely on instinct. For instance, when I first met my wife, I didn’t do computations. Nor did she." Instinct isn't the exact same thing as intuition, but it's hard to know which thing we're using in a given situation. When Gigerenzer met his wife, was he using instinct, intuition, or emotion? We can't really know.